Two weeks ago I finished the second quilt. It was a lot of work but I had so much fun to create this bedspread. My younger daughter is so delighted to own this quilt. Hopefully it will exist for a long time. 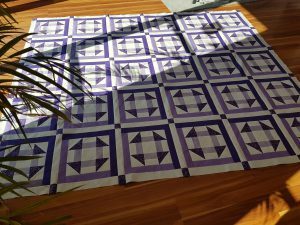 I practised the free motion quilting for a few hours before I started to work on this quilt to get more experience. I didn’t want to ruin it. First I used a walking foot to secure the layers. Then my daughter chose one stencil for the middle of all the blocks, so I stitched 30 loopy leafs. 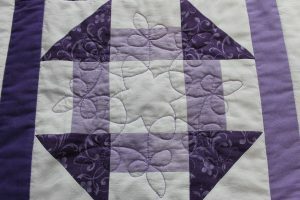 After that I wanted to use my free motion quilting experiences for the borders and did loops and flowers. Currently I am working on my second quilt. It will have appoximately the same size as the first one, but the top is made out of 743 pieces. It was a lot of work to cut all the little squares, triangles and rectangles. I came across the pattern on a website from Accuquilt, where you can buy fabric cutters. They also have a lot of free quilt patterns. As you can see the top is finished an the quilting is almost done. I will show it to you in a few days. After I had made the pillowcases, I still didn`t feel competent enough to create the first quilt. Because of that and the arrival of a new family member I looked for something else and found an instruction for a wonderful little ball. It is hand sewn. I liked to make it but I could tell that I love to use my sewing machine much more. 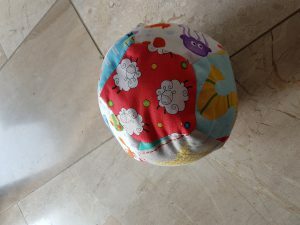 I found an Internet course for quilting on a website (www.craftys.com) and I`m still happy that I have bought one of the instructions there. I have learned very much and felt competent to start the very first quilt for one of my daughters. She wanted one with red and light pink colors. I designed it on my own because we could not find the right one for her in my book. It was easy to cut and sew because the top is made of rectangles. You can see the design and the finished quilt where all my projects are. 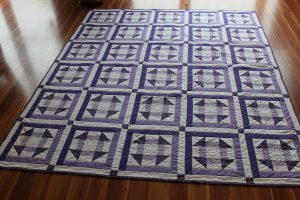 For a very long time now I have wanted to make quilts . Many years ago I stayed in B&B in New England and every room had its own quilt. They were definitely homemade and really beautiful. In the last years I was too busy with work, children and so on to try something new. Now the kids are older and don`t need quite as much time as before. So a few month ago I wanted to start my first project. 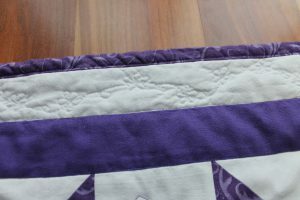 It was difficult to find the right instructions how to make a quilt and I invested a lot of time searching in the internet. Now I want to help others to start with their own work. Most parts of my blog will be in German, but I try to translate the important parts. If you have questions you can contact me. Three pillow cases were my first project. 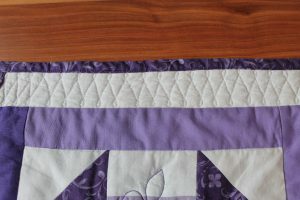 I felt that I hadn’t learned enough about quilting, so I decided to try something different which includes patchwork. You can see the finished pillow cases on the side with the projects. I had a big problem during this work. My old sewing machine broke down and it was too costly to get this old thing repaired. I had to find a new one. It took me ages to decide which one a wanted to buy, but I found the ideal (at least for me) sewing machine in a store in Berlin. I’m still very happy with it. It is a Brother innovis 1100.